A main compartment with two zip-pullers closure. One zip pockets on the front and one some pockets inside. Handles made by soft PU leather. 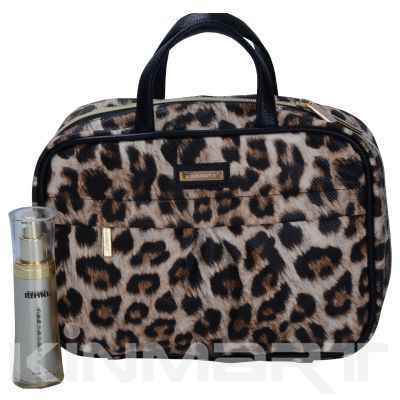 A popular handbag for cosmetic essentials. We can do custom logos.